With a stay at Ocean Spa Hotel Cancun in Cancun (Zona Hotelera), you'll be a 3-minute walk from Turtle Beach and 7 minutes by foot from Langosta Beach. 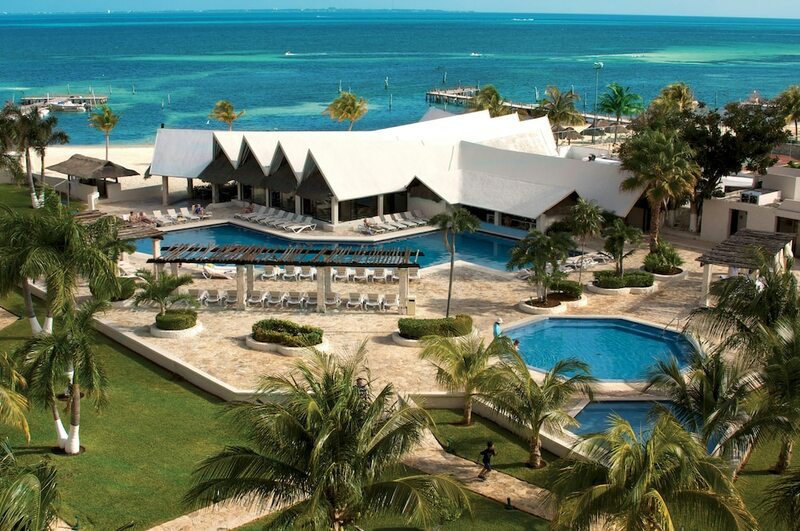 This beach hotel is 2.3 mi (3.7 km) from Tortuga Beach and 5.5 mi (8.9 km) from La Isla Shopping Mall. Relax at the full-service spa, where you can enjoy massages, body treatments, and facials. If you're looking for recreational opportunities, you'll find an outdoor pool, an outdoor tennis court, and a sauna. Additional features at this hotel include complimentary wireless Internet access, concierge services, and babysitting/childcare (surcharge). Getting to nearby attractions is a breeze with the area shuttle (surcharge). Satisfy your appetite at Rumm-Ba, one of the hotel's 3 restaurants. Relax with your favorite drink at the bar/lounge or the poolside bar. A complimentary hot/cold buffet breakfast is included.